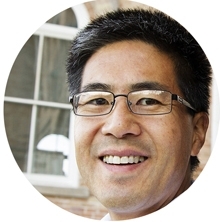 Mike Lowe, husband, father, and Founder of Kidoodle.TV, sits down to discuss with us his subscription video streaming service, delivering entertainment and educational programs to kids 12 and under. Kidoodle.TV has no adult content and no commercials and is completely controlled by the parent. Find out how it all started from our interview with Mike below. Can you explain in a few words the idea behind this video streaming platform and how it all started? 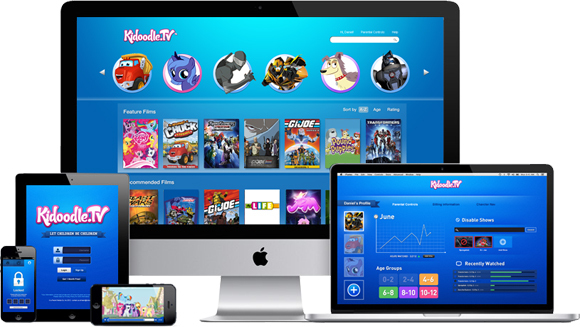 Kidoodle.TV is a commercial-free, subscription video on demand (SVOD) streaming service designedfor children ages 12 and under that is accessible on laptops, desktops and mobile devices. It is childoriented and convenient, with kids-only content, robust parental controls, and customizable features. I knew that something like Kidoodle.TV was needed the moment my 3 year old son navigated his way from cartoons on the TV into adult content all on his own, even after I removed the adult channels from the cable box. A new channel had been pushed out by the cable provider without my knowledge and when I stepped into the kitchen to grab a coffee, I thought my son was “safely” occupied in front of the TV. It was both shocking and concerning to find that he had managed to get into inappropriate content in just a few short minutes. Combined with a few other scary online encounters for my son, I knew this was a problem that needed to be solved for parents like me so I set about building a team to create the solution and Kidoodle.TV was born! What kind of content would kids find on Kidoodle.TV? What was your Aha! moment with Kidoodle.TV? We knew we were onto something that consumers appreciated the day we showed a demo of our parental controls to a mom in an airport. She was thrilled with the ability for parents to choose titles for each child according to age filters and individual title selection and de-selection. She said that ‘in her day’, there was always a clerk at the video store checking her ID and making sure the video was suitable for her age, but with the accessibility of content on the internet, kids no longer have a video store clerk looking out for them. Kidoodle.TV is like the video store clerk! Over 5700 licensed episodes (and growing) between the 2 countries available to view, how do you find the balance between entertainment and educational content? We started the service with a broad selection of content, both old and new, and with a mix of cartoons and educational pieces in order to observe the kind of content that our users would best enjoy. Our Kidoodle.TV families have indicated that they want more educational content. Since it is important to us to adapt the Kidoodle.TV service to the needs and wishes of our users, we have placed a lot of value on that information and will use it to continuously refine the service and to strike the balance. 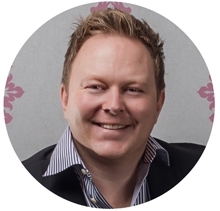 What's your plan for improving the user experience and attracting new members? Our plans for feature enhancement and development, as well as content acquisition, are premised on consumer feedback wherever possible as we wish to adapt and evolve to consumer needs on an ongoing basis, and to provide exceptional value for families. New features and content will roll out over the coming months, which we hope will keep our consumers engaged and attract new subscribers. We are also focused on delivering a service that provides a positive growth experience for kids, combining educational and enriched content components with popular entertainment and we believe we on the right track regarding content acquisition that will please our users. At the beginning of our journey, we were naïve in that we didn’t cast the net wide for investors and we relied on others to make that investment happen for us. Once we figured out that we had to expand our search and pursue multiple avenues, we were far more successful. It would have been nice toe xpand our search sooner to speed up our capital raise. However, this learning process allowed us to choose the right investors with the same mindset, which is important in order to build on synergies and avoid culture clash. Do you have any expansion plans or is Kidoodle.TV only going to be available for the North American market? Currently, Kidoodle.TV is available in the United States and Canada. Our focus was to develop the service in these two countries to the satisfaction of our users before we begin our expansion. However, we have ideas for expansion and have begun discussions and exploring opportunities in that regard. 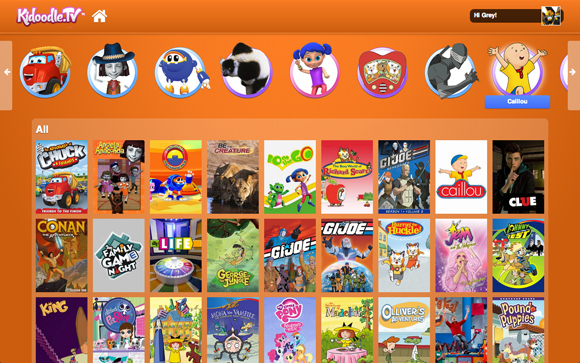 What is the coolest feature of Kidoodle.TV It in your opinion? 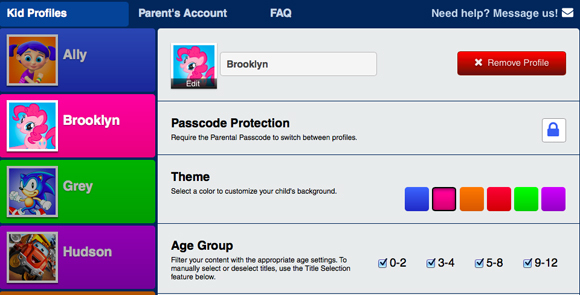 We think the ability to customize each kid’s profile (up to 5 kids per account) is pretty cool, including the ability to turn certain titles on or off (everybody has a title that they don’t like) and the ability to set time limits (you no longer have to be the bad guy). We have many more features in development that we believe will attract and hold our audience. Set your vision, do your research and build on the resources offered to you. This could include joining start-up communities where you learn how to pitch and refine your messaging and how to validate your idea and expand your network. Listen to what others in the space have to say and address feedback objectively. Not all feedback is good. However, continuous self-assessment and nimble adjustment is so important. More importantly, choose members of your start-up team wisely for a ‘right fit’,foster the team environment and listen to what the team recommends. Kidoodle.TV would not be possible without our amazing founding team. The team is our most valuable resource! Lastly, believe in your idea and persevere. We are excited to be working with other community-minded parties to improve the lives of children and families. On April 2, we will be working with those parties to present tablets and Kidoodle.TV subscriptions to recovering children staying at Ronald McDonald House® Southern Alberta. This event was inspired by our recent attendance at "The Boom Boom Room Celebrity Baby & Big Kid Pre Oscar Suite" on March 1, 2014 in Los Angeles, a gifting suite that allows celebrities to sample top children's products and services. We gifted celebrity attendees with a 1 year gift subscription to Kidoodle.TV. The gift card was designed specially by a little girl who is currently recovering from a kidney transplant. In recognition of the difficulties of the recovery process for children experiencing health related events, we decided that we wanted to give matching subscriptions and mobile tablets to children staying at Ronald McDonald House® Southern Alberta. Many of the celebrities in attendance at the Boom Boom Room even autographed the gift boxes for the kids who we hope will be thrilled to receive the signed gifts! See Kidoodle.TV Celebrates the Oscars “Little Style”! Pie in the sky, whose advice would you like to get? I’d love to have a conversation with Reed Hastings. We’re in the space that he pioneered, not as a competitor but as a complement to the online viewing revolution that he started.